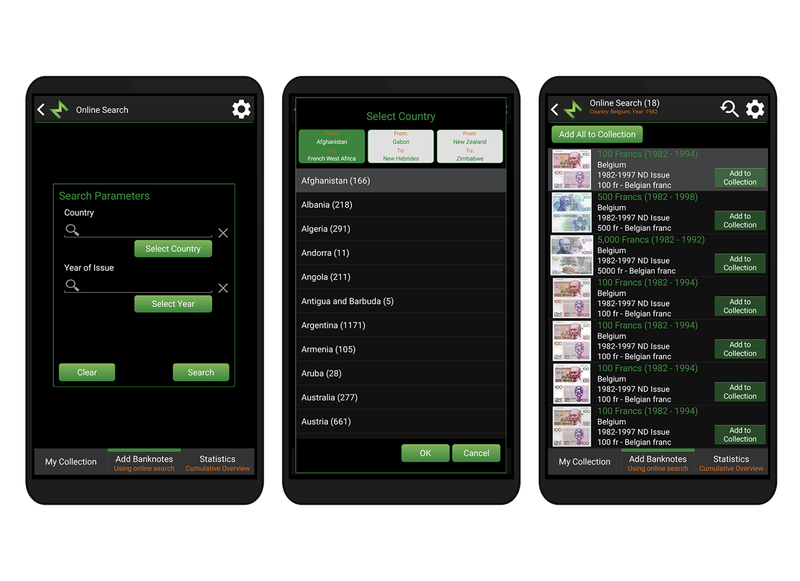 Automatically import banknote information with images using Colnect's online database with more than 101.000 banknotes from 300 countries. 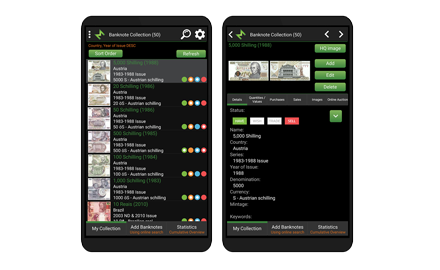 Browse, sort and search your banknote collection. 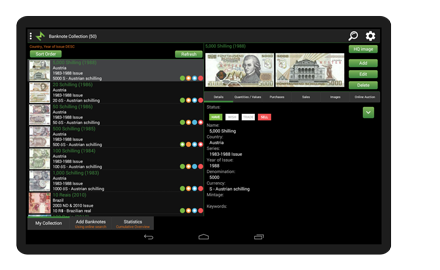 Simply browse your banknote collection. Sort lists any way you want. 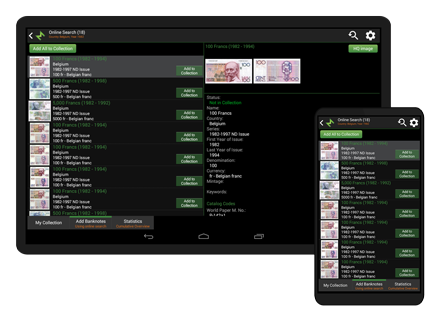 Find banknotes quickly and easily. Keep track of your collection and wishlist. 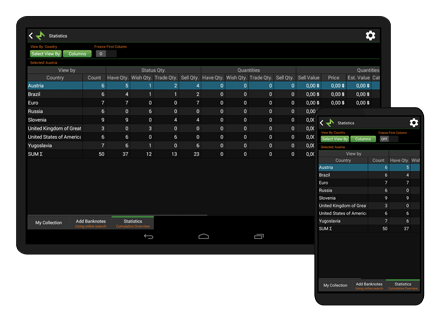 Synchronize your data between multiple devices. 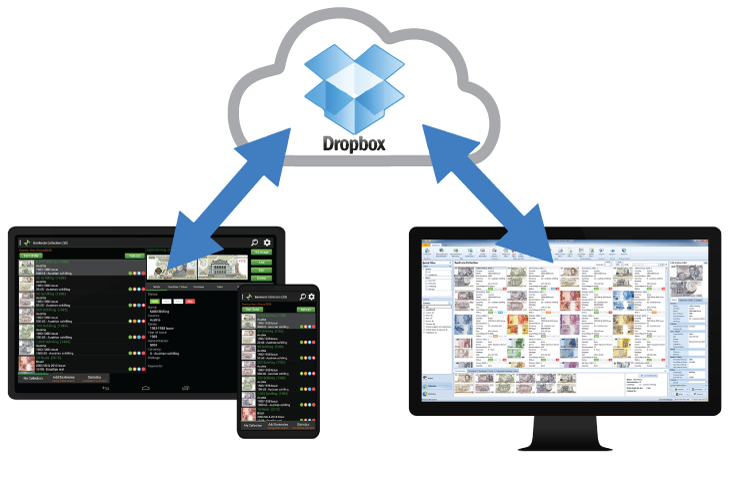 Synchronizing data with cloud allows you to transfer data between desktop and mobile devices. or go to Google Play Store on your mobile device and search for "BANKNOTE MATE MOBILE"
Full version available for around 17.90€ (In-App purchase). 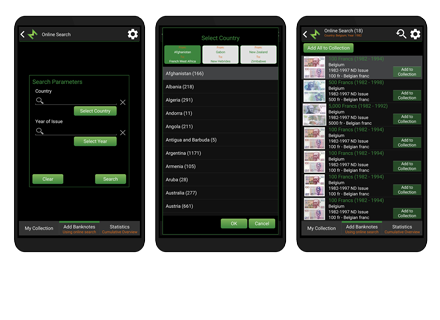 Search by country or issued year and get a list of properties for each banknote (image, name, country, series, year of issue, etc.). 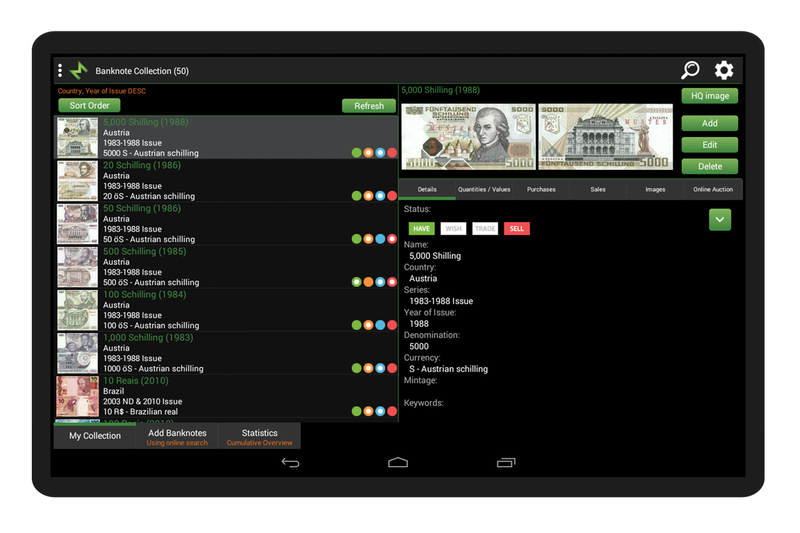 Automatically import banknote information with images using Colnect's online database with more than 101.000 banknotes from 300 countries. If you already have account on Colnect you can simply import all the information. Simply browse your banknote collection. Sort lists any way you want. 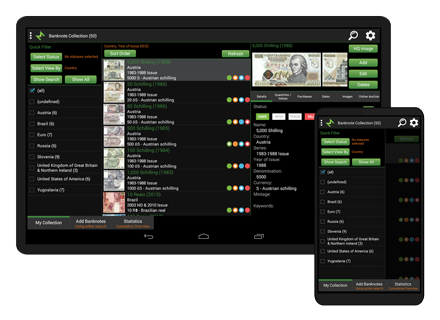 Find banknotes quickly and easily. Sort your lists any way you want. Simply filter data by Status, Country, Series, Issued Year, Keywords, Group, etc. 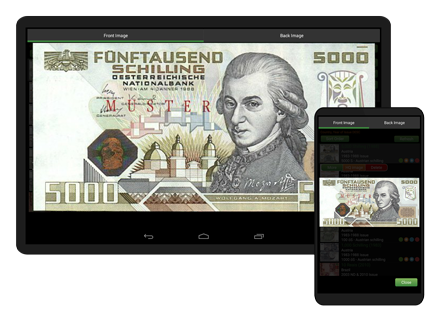 If you have banknotes that autosearch cannot find, you can make a photo and add them manually. Store a lot of »personal« information, such as Album, Location, Quantity, Price, Est. Values, etc. 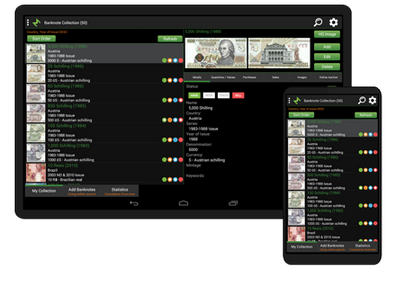 Tag your banknotes with Have, Wish, Trade and Sell status with simple click on status button or customize your own status list. Simply manage your banknote inventory. You can store multiple quantities and values by condition. 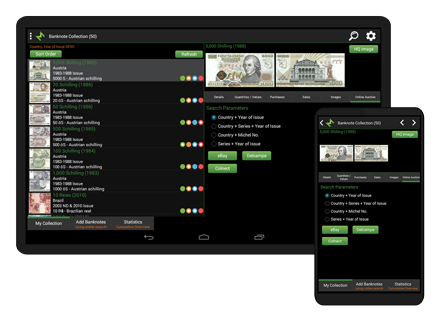 Store all your purchases and sales for each banknote. You can also store your swapping information. Search online auctions (eBay and Delcampe). View collection statistics in the form of bars, columns, lines or pie charts. Synchronizing data with cloud allows you to transfer data between multiple devices by using online cloud so no cable connection is needed. Submit your email address below and receive a 5.00 € discount coupon. We sent you email with confirmation code!